Sri A. Krishnan is a post graduate in Mathematics from Madras University. He studied in Sri Vivekananda College in Chennai and Passed out in the Year 1956, securing the first rank and gold medal. He hails from a family of eminent Sanskrit Scholars. He took up banking as his career spanning for 38 years. He served in State;_Bank of India rising to the level of Deputy Managing Director and retiring as Managing Director of State Bank of Mysore in the year 1996. He is ageded 30 years presently. He took up writing after retirement based on great Indian epics Ramayana m and Mahabharatham. His works are treatises undertaken after a great deal of research. He has succeeded in making the most truthful presentation of the originals, vouchsafing For their originality and purity. While his first work SRIMAD VALMIKI RAMAYANAM places before the readers the Sanskrit original of Sage Valmiki in simple English, PURE GEMS OF RAMAYANAM in English makes a detailed analysis of twelve characters of Ramayanam offering man-y rare commentaries, not known before. 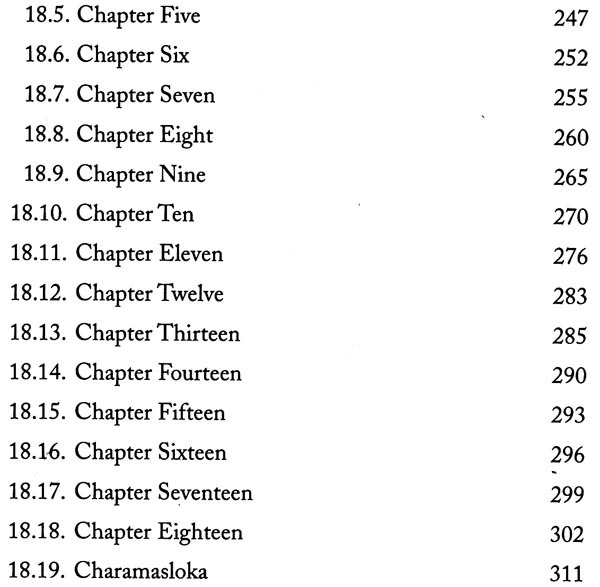 That was the English version of his RAMAYANA THOOMANIGAL in Tamil. He published KRISHNA lN MAHABHARATAHM in Tamil delineating on the character of KRISHNA in Mahabharatham. 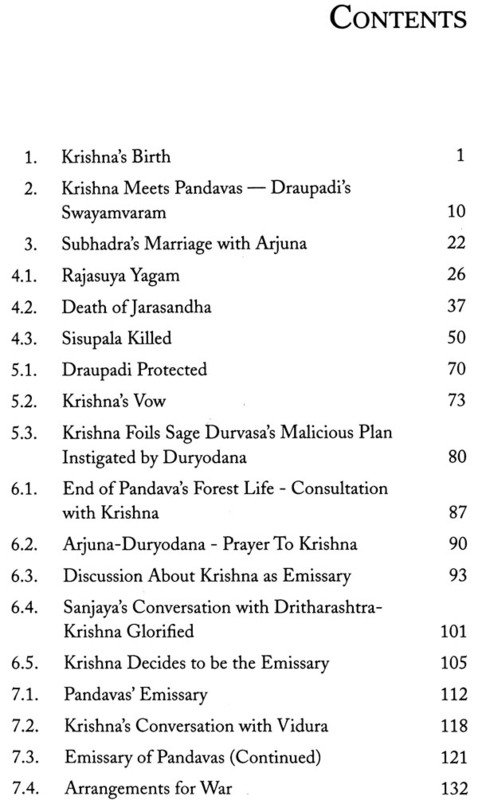 dispelling some of the misunderstandings of Krislitiafs deeds by the commentators and presenting the true picture and in their proper sequence. The present work is its English version. The highlight of this work is the treatment of SRIMAD BHAGAWAD GITA in a manner capable of easy understanding of the complicated philosophies underlying those great sermons of Lord Krishna, an internationally respected masterpiece. In the year 2013, I published the book 'MAHABHARA THATHIL KRISHNAN' in Tamil. This book is its English version. The aim is to reach a vast number of readers. 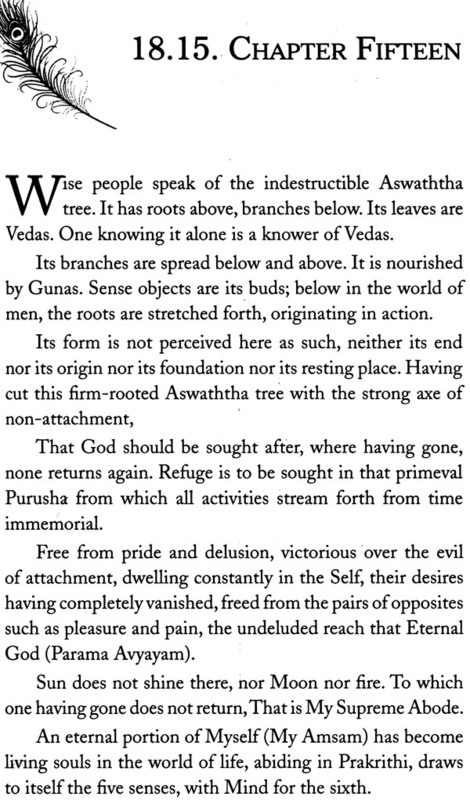 Mahabharatham is one of the great epics of India, written in Sanskrit by Sage Vyasa. Krishna plays an important role in Mahabharatham. It is very difficult to identify who is the hero of Mahabharatham. However, Krishna's role is very crucial in that epic and there would be no Mahabharatham without him. 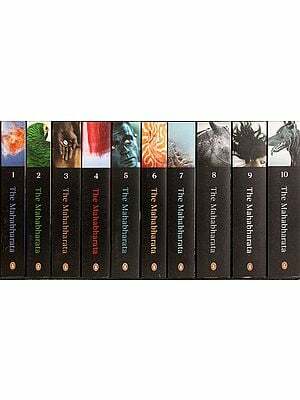 Mahabharatham is essentially a story depicting the rivalry between Pandavas and Kauravas who were first cousins. 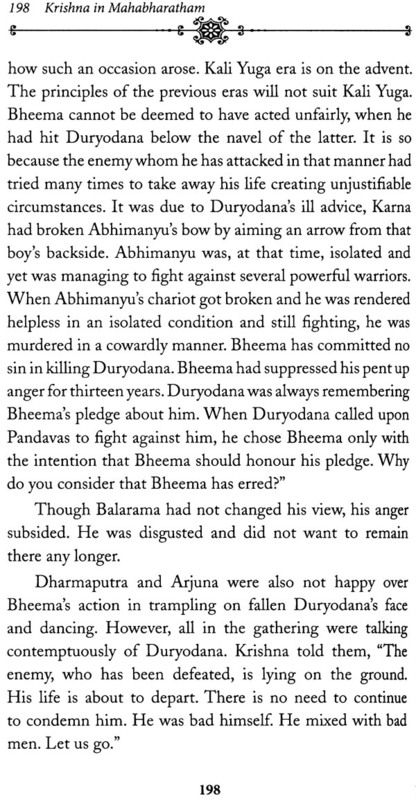 Pandavas led by Yudhishtra were virtuous, whereas Kauravas led by Duryodana were symbols of evil. Pandavas were compelled to undergo a very long and arduous forest life, after treacherously getting cheated by the wily Kauravas. They faced many dangerous ordeals having been deprived of their own kingdom. They tried to get back the lost kingdom in the legitimate way but failed due to the stubborn and unjustifiable opposition of Kauravas. War became inevitable between the two. 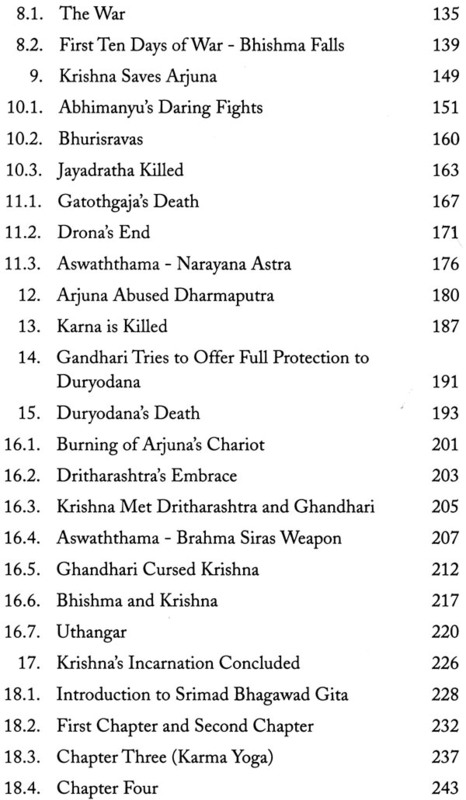 Ultimately Kauravas were totally eliminated and Pandavas succeeded. 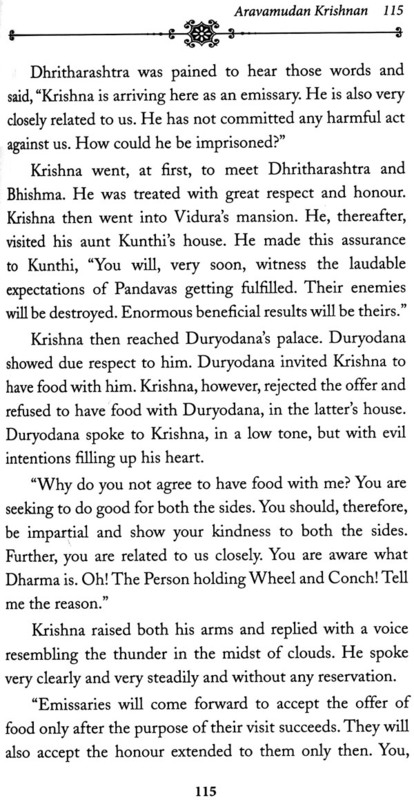 Krishna was an ally of Pandavas throughout. If Pandavas had emerged out of their exile successfully and had also won the war, it was entirely due to Krishna's direct and indirect assistance throughout, which had restored the glory to Pandavas. Kauravas had the physical support of the invincible grandfather Bhishma, the formidable teacher Drona, the most valiant ally Kama and hosts of several other great warriors. It would have been impossible for Pandavas to kill them all and register victory, if Krishna had not been associated with them. Bhishma, Drona, Kama, Duryodana and others had to be killed despite their enormous power and skill. 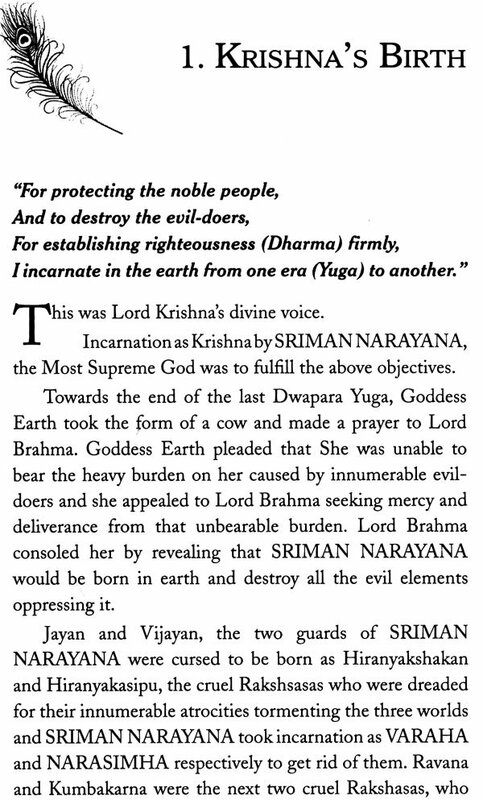 Krishna had been identified as the principal architect of vanquishing them all one after another. It was, however, noteworthy that Krishna never touched a weapon in the war. 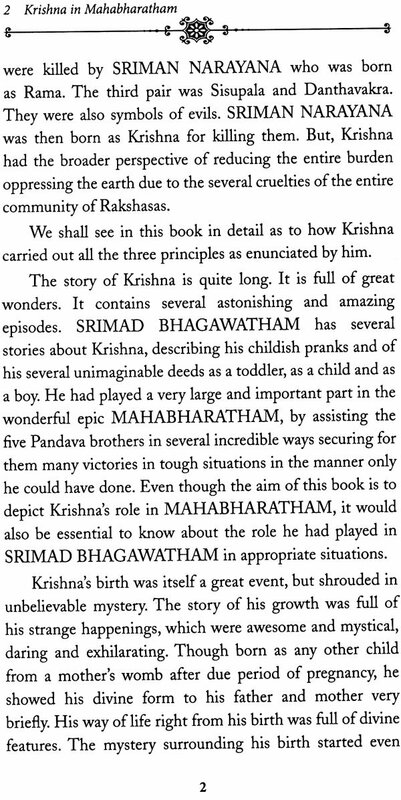 Krishna's role in the entire Mahabharatham has been the subject matter of criticisms. But, a correct reading of the original text in a dispassionate manner and a very strict interpretation of the sequences would reveal that Krishna had acted strictly adhering to established codes of Dharma and warfare. The object of this book is to understand Krishna's role in Mahabharatham truly and in the proper perspective. Krishna was the direct incarnation of Lord Narayana on earth as a man and Lord Narayana would never playa questionable role. 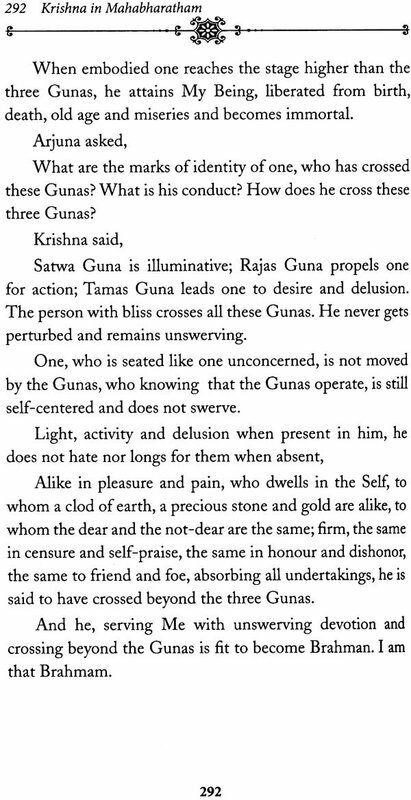 In Mahabharatham, Srimad Bhagawad Gita forms an integral part. It is Bhagawan Krishna's gospel to remove the darkness of Arjuna but its message is for the entire mankind Srimad Bhagawad Gita is a jewel whose glitter shines not only in India but all over the world as it carries several translations. This book contains that subject matter presented as simply as possible. I commend this book to the readers for their correct understanding of its contents.